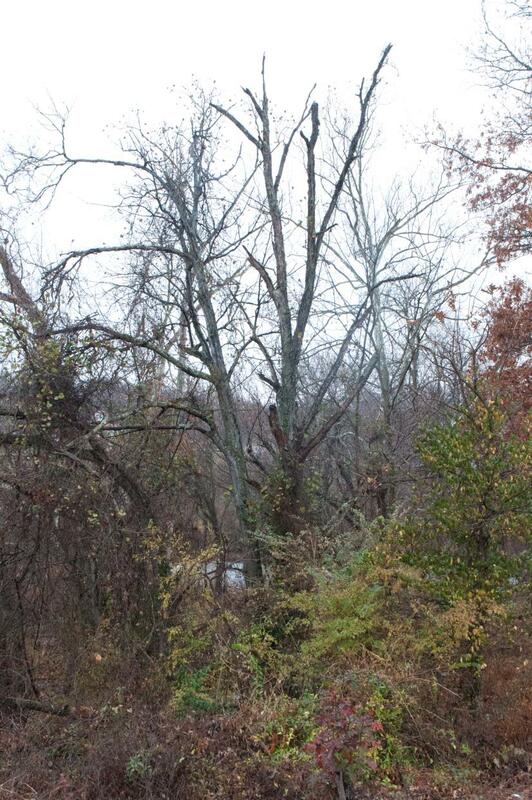 Have you noticed a box-on-a-pole on the north side of historic Redings Mill Bridge, in Joplin? To support ongoing habitat restoration efforts, Chert Glades Chapter members Ron & Joyce Johnson have constructed and installed a bat house. Of course, it is currently unoccupied, since insects are unavailable! A nearby companion kiosk concerning bats is full of fascinating details about these clean, shy, intelligent creatures. Bats in Missouri survive cold months by hibernating or migrating to warmer places. During spring, summer, and early fall, bat houses act like miniature daytime caves. Bats look for enclosed spaces for sleeping…preferably ones that will allow them to hang out with friends while they rest. Adequate roosting structures to support populations are often in short supply inside city limits where dead trees (snags) and other roosting opportunities are lacking or actively discouraged. This bat house/condo was installed at the bridge to support local bat populations with a new roosting option, and educate about their value to human populations. Bats, the only flying mammal, are a critical part of a well-functioning ecosystem. While they are important pollinators in tropical climates, they control night-flying pests all across the U.S. including Missouri. One little brown bat, weighing no more than half an ounce, is able to eat over 1000 mosquitoes in just one hour! Bats also earn their keep as primary predators of insect pests that cause millions of dollars in damage to farms and forests annually. Each night, bats can eat their body weight in insects! This means a decline in bat populations requires the use of more pesticides which can be harmful to both the environment and human health. Contrary to popular misconceptions, bats are not a threat to people, and are excellent neighbors. Bats are famous for living in caves or mines, but many live in hollow tree trunks or behind loose bark, in attics or behind nooks in the siding of homes, in crevices in cliffs, or in large storm sewers, old barns, and bridges. In addition to their appetites for insects, bat guano (poop) is a great natural fertilizer! Also, there are no vampire bats in Missouri. These blood-licking bats, residents of Central and South America, have nothing to do with Dracula, and bother livestock much like mosquitoes bother us! Bats do a lot of living at night, because it's easier to hunt bugs and stay out of the way of predators in the dark. This means they have to rely on navigational methods other than sight. 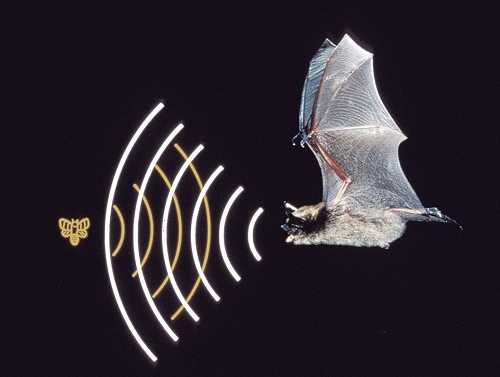 Bats send out beeps and listen for variations in the echoes that bounce back at them. This is called “echolocation.” Bats use their eyesight to see things in the daytime, so the expression “blind as a bat” doesn’t really make any sense! While bats aren’t really scary, the challenges they face are enough to terrify any creature. More than 50 percent of bat species in the United States are either in severe decline or listed as endangered. Habitat loss and degradation, cave disturbance, use of pesticides, white-nose syndrome, and wind turbine installations are all serious threats. Since bats typically have only one pup each year, such threats can easily lead to regional extinction. Look for bats dropping out from the bat house at Redings Mill next spring when insect swarms will make this prime real estate. To attract bats to your own backyard, leave dead trees that do not present a safety concern, build or buy your own bat house, and keep cats indoors, especially in the summer when mothers are caring for young. Do this and you will be abundantly rewarded with free pest control and nightly displays of aerial acrobatics! Val Frankoski was a founding member of Chert Glades Chapter in 2005, served as an officer, organized training, and is currently Butterfly Coordinator, as well as liaison to the City of Joplin in The Mayors’ Monarch Pledge. Val has a BS from Cornell University and an MS in Biological Sciences from Purdue University. A former teacher, Val volunteers in Friends of Wildcat education programs, speaks to local groups about monarchs and other pollinators, serves on the Wildcat Stream Team, and is cultivating a demonstration garden at Redings Mill Bridge adjacent to this soon-to-be-occupied bat house. Posted on November 28, 2018 by Amera Wild.